It is the most wonderful time of the year for most. For diabetics all over the world it is the time of year that tests us. With so much good food it is very tough to keep our blood sugars in the ranges we would like. As always a plan of attack is the biggest thing, finding out the menu ahead of time is huge. With the menu in hand you can setup a bolus for the meal and set up what you plan to eat. Things change and plans don't always work but being prepared is ten times better than going in blind. Reward yourself at dessert if you keep your blood sugars within the range you would like. No need to go crazy, enjoy the holidays, family and friends. I will be taking a break from blogging tomorrow and on the 25th. I'm excited to see what my holiday blood sugars are like, good or bad I will be uploading a picture of Easy Ed (my Dexcom) both days. I hope that everyone has a very safe and happy holiday!! I hinted at some major racing news last night, on October 10th 2015 I will be running my second marathon!! With a chip on my shoulder from the NYC Marathon in 2013 I'm determined to have a much better marathon experience this time around. I do a lot of things backwards and running the NYC Marathon as my first marathon was a mistake. ( I can just picture my wife smiling as she reads that) I ran well but had no idea how mentally taxing a marathon can be. I also trained for five months, I put to much training in to a short period of time and paid the price as the marathon grew closer. I also didn't know what to expect when it came to running a marathon with diabetes. This time around I have almost 300 days to train all facets of marathoning. My body will be better prepared, I will have some experience and I will be a better diabetic this time around. Being in the gym all winter will be a huge help, I have been adding muscle so that my body is stronger when it comes to endurance events. I have a few half marathons planned for the spring and early summer, I will train correctly and build a great mileage base before going into all out marathon mode. Having the help of a nutritionist for this marathon will be a huge help, I will know what foods help me while running and that in turn will help my blood sugars. I'm excited for the marathon but I'm more excited for the training that will go into making the marathon itself successful. I feel that I embarrassed myself in NYC, Hartford will be different!! As always the support from my family, friends and readers will be a huge help. I love that I will have support when things get rough be it with training or the race itself. That helps a lot and everyones words of encouragement help tremendously while running the marathon!! What does Joel the Lump of Coal have to do with diabetes and holiday parties? I'm a huge Killers fan so to celebrate their latest holiday single I decided that if I had bad blood sugars during the celebration of the holidays I would say I had a Joel. A tad weird I know but if you thought I was normal than something might be wrong with you. Last week I dramatically changed my diet and was waiting to see how it would payoff. I figured a slightly lower A1C in March would be the result, it still may be but I got confirmation that it works this past weekend. By having a diet that is full of grains, legumes and fruit I have tweaked how my body responds to insulin and by eating healthy grains I have changed how my meal time shots react. This weekend I decided to let myself go just a little bit. Two slices of pizza, sausage and potatoes, and some cookies are not part of my normal diet but they worked their way on to my plate this weekend. The weird thing was that my blood sugars didn't react as they should. Usually that kind of food would have my blood sugar in the mid 200s and fighting to get it down. This past weekend my blood sugar enjoyed hanging out below 200 all weekend. It wasn't until 8:00pm tonight when I tested and was 222 that I saw a blood sugar above 200. Having very respectable blood sugars all weekend allowed me to enjoy everything about the parties. Seeing "Care Bear" and "Sharky" open presents with a blood sugar of 140 is so much better than watching with a blood sugar of 240. I really don't want to see Joel the Lump of Coal on Thursday, I will be getting back to work tomorrow, back to the gym at 5am and eating healthy. I need the training for a big race next fall!!! News on that will be coming in the very near future!!! Whenever I have the idea to start something new for the website I always get a little nervous, I'm worried that it will not be successful. I'm happy to report that the Ask The Diabetic Cyclist feature was received with open arms. I was worried that I would only receive one question, the first week brought me more questions than I would have expected in a month. This is great to see and this will definitely be the topic every Friday for weeks to come. Without further ado lets get to the first question!! How does a person stay fueled on long rides without hi-carb energy gels etcetera? Personally the preparation for long rides starts days before the ride. For me carb loading is very important, I will have bowls upon bowls of pasta for the three days leading up to a race or long training ride. Being loaded with carbs before allows me to focus on riding and maintaining a steady blood sugar while on the bike. I will often make peanut butter and jelly sandwiches to eat while riding, I will cut them in to manageable sizes so I can grab one from my jersey and eat it with no problems. I will also use bananas while riding, they have a lot of potassium and this eliminates cramping. One weird food that I was told to try was baby food. I have yet to try it but it makes sense. You can easily put it into ziplock bags and use it like a gel. The baby food itself is like a gel, basically eliminating the digestion which allows it to get to work for you as soon as you swallow it. It losses no nutrients when being made which keeps the natural sugars which are huge while riding, the more natural sugars the better. I will use energy gels at the start and finish of the ride, this is purely for the caffeine, it allows me to start fast and gives me the energy to sprint at the finish. My inbox has been the place to go if I need good news these past two weeks. Last night I wrote about how I have the chance to interview a huge role model of mine. This afternoon I received an email informing me that I have my first sponsor. I know what some of you are thinking, "Here he goes selling out, I will have to read posts about some product he likes so he can make money." I can assure you that is not the case. Yes I will have at least one article of Nuun apparel on while training and racing, that means pictures that I post will have me in Nuun gear. I would never endorse a product just to make a dollar or to get merchandise. When I applied to be a member of Team Nuun I did so because I have used Nuun for years. I use Nuun while racing to stay hydrated, I use it post race to help recovery and I drink it everyday to stay hydrated while working. Before Nuun I could not stay hydrated, this lead to having the low feeling because of being dehydrated. My blood sugar would be at 150 but I would feel dizzy, weak and tired because of my dehydration. I tried product after product, I was not satisfied until I found Nuun. As I said it is my go to product for hydration. I swear by Nuun and encourage anyone that is looking for a product to fight dehydration to try Nuun. It has helped me as an athlete but it has done even more for me as a diabetic. When it comes to my diabetes I try to control everything that I possibly can. Using Nuun has allowed me to control my dehydration and has allowed me to focus on my blood sugar while racing. That is where my attention belongs and I can't thank the makers of Nuun enough for all of their help. Last week I received an email that talked about this post from November. The writer of the email said that she noticed this comment "Again it is a truly amazing feat and I'd love to sit down with Seb and talk about his run. How was he was able to get to that point as an athlete? How did the run effect his insulin and blood sugar levels?" She would go on to write that I would be given the opportunity to interview Sebastien via email or phone early in January. I have been on cloud nine since I received that email. I have done a lot reflecting, it amazes me that I'm doing what I'm doing today. It amazes me that with the help of my amazing wife, family and friends I'm now realizing my dreams. As a child I always dreamed of having a job that had something to do with sports, this blog is not a job but it is something that I love to do day in and day out. It has allowed me to meet amazing people and has allowed me to help so many that want to start exercising with diabetes. I don't receive any pay for anything that I do on this website or any interviews that I conduct, diabetes is my life and I have made it my "job" to help people that are living with diabetes. This blog started as a way to talk about my everyday life as an athlete with diabetes, I never imagined it would get to where it is today. With that said, I would not be able to interview Sebastien if it weren't for you. Followers of this blog have made it what it is today, I want to give you the reader the opportunity to ask six time ironman, the first Canadian with diabetes to reach the summit of Mt. Everest, and the first diabetic to run across Canada any question you want about being an endurance athlete with diabetes. The questions can cover every and all subjects when it comes to endurance events and diabetes. Personally I want to know how he got where he is today, I love marathons but how do you take that next step, how do you go from a marathoner to ultramarathoner? I would also love to know how to become an ironman, what does it take to do an ironman as a diabetic? Please send your questions to thediabeticcylist@yahoo.com please use "Seb Question" as the title of the email. All questions must be submitted before 12AM EST on January 4th 2015!! At that time I will choose ten questions. I will make sure that the providers of the questions I use get a little something, be it a t-shirt or mug. The interview with Sebastien Sasseville will be conducted the following week. To learn more about Sebastien Sasseville please visit Outrun Diabetes, on that site you can watch all fifteen episodes documenting Sebastiens run across Canada!! The Diabetic Cyclist claims no credit for any images posted on this site unless otherwise noted. Images on this blog are copyright to its respectful owners. If there is an image appearing on this blog that belongs to you and do not wish for it appear on this site, please E-mail with a link to said image and it will be promptly removed. On Saturday afternoon I had an appointment with my nutritionist from Joslin. This was my first visit with the new nutritionist and I went with the attitude of this person will help but won't understand the sports side of my diabetes. I'm very happy to report that I was wrong, I learned a lot and have a lot of respect for my nutritionist. As soon as she told me that she worked at a local college and was the nutritionist for the athletic teams I was sold. She took the time to learn about me before suggesting a meal plan. She seemed unfazed by the 5am to 630 am gym time at least three days a week, I figured that when I explained what I do for a living that would give her some problems, it did not. Once I told her about my life and my diet I was put in my place, when she told me "Your diet isn't bad but it is laking, I'm going to make you a meal plan that will help you on and off the bike" I couldn't help but smile. The first thing she tackled was my "breakfast" before going to the gym. I was having a greek yogurt and going to the gym, I will now have a glass of chocolate almond milk with my greek yogurt. The good fat will help while training and my blood sugar will not spike before working out. The rest of the day I was told that I needed a lot more carbohydrates, fruits and vegetables, and fiber. I need to add color to my meals, the pasta is great but needs color such as spinach, kale, and or peppers. I need to focus on eating a lot legumes and grains. I was averaging around 45 carbs per meal, I now need to get that number to at least 60, that will help my blood sugar stay stable and help in recovery after workouts. I love that I have a new meal plan, I got lazy and needed help. I found the help that I needed, I'm equipped with a great meal plan and training plan. I'm putting the work in and I have a feeling it will pay off when I start racing in the spring. When your favorite hard rock band writes a song for diabetes you can't help but write about it. This may come as a bit of a surprise to most but while riding or running I love listening to hard rock, I like to be angry when I'm racing. When I was in high school and college I was a huge Korn fan, I was angry for other reasons, mostly I was mad at my diabetes, Korn, Tool, and System of a Down were my escape and got some of my rage out. That is why I find it so ironic that Johnathan Davis the lead singer for Korn has released "So Unfair" a song that is being used to raise funds for the JDRF. By donating a dollar at https://www.rallysong.com/korn you are entered to win a trip to Bakersfield, CA to sit down with Johnathan and help write Korns new single. I have already downloaded the song and made my donation, I'd love to win but just making the donation makes me feel good. I know what his son is going through, so many children living with diabetes are struggling, anything that we can do to raise awareness and funds to help the fight diabetes is tremendous. When I started blogging almost three years ago I never thought I would have the number of followers that I have today. This website has become my diabetes escape, I love escaping to my man cave and writing almost very night. I never imagined so many diabetic athletes had the same questions, worries, and fears that I have each time I lace up my shoes, or hop on my bike for a ride. When I first started getting in to cycling I had so many questions, I was very lucky that I had amazing friends in the diabetes community that helped me every step of the way. When I had a question they did the best that they could to answer it. Even with the help of so many I still had questions that were not answered , I've had a lot of lows and highs while on the bike. To this day I still have questions. I know how difficult it was for me to ask questions, I was scared people wouldn't understand or thought I was weird because the question I asked was answered so easily. I want to help others living with diabetes to have a smooth transition to becoming a diabetes athlete, that is why tonight I'm starting the ask The Diabetic Cyclist weekly blog post. The questions can be about anything, this is not just a thing for athletes, the questions can range from "how do you tell people about diabetes? ", "When you eat pasta how do you cover it with insulin? ", and "I'm about to ride my first century, what should I know as a diabetic?" Any questions that you have please send to thediabeticcylist@yahoo.com I will read each email and pick one question every Friday to answer. I will not use anyones name or email address when I answer the question, I will only post the question and my response. I'm looking forward to all of the questions and can't wait to answer them. If your email is not picked to be on the blog don't worry, I will be sure to email you and answer your question to the best of my ability. The 2015 Team novo Nordisk Cycling team may be in its offseason but that is no time to sit back and relax. Members of the team are busy in the gym everyday preparing physically for the upcoming season but they are also changing diabetes. Corentin Cherhal will be a rookie on the 2015 team but has been doing work publicly to help those living with diabetes. Corentin recently sat down with Vox Stadium for an interview, Vox Stadium is a french website that covers all things sports. You can get the english version of the interview right here. As Corentin says in the interview "Never stop pursuing your dreams!!" All members of Team Novo Nordisk have diabetes, but from reading numerous interviews with many team members they have all talked about how diabetes tried to stop them from achieving their dreams. It doesn't matter if you're a pro cyclist, a lawyer, or student diabetes will not stop you in your chase for your dream. That is what Team Novo Nordisk is all about, I like many am counting down the days until the first cycling race in 2015 for Team Novo Nordisk. As a basketball coach I try to be like some of the great coaches in college basketball. I try to have the authority of Bobby Knight, the basketball mind of John Wooden, and the personality and heart of the late great Jim Valvano. This past week was Jimmy V week on Espn, one of my favorite weeks of the year. They show Jimmy Vs ESPY speech a lot and I make sure to watch it every time that it is on. I encourage everyone to watch the video above. It will make you laugh, think, and cry. As he says do that everyday and you will have a great day. Having that mindset with diabetes is great and helps tremendously. The speech below isn't shown to often but is another great Jimmy V speech, if you have some time be sure to watch that as well, Jimmy V starts speaking at the 15:25 mark. It wasn't to long ago that my diet consisted of soda, chips, and lots of cookies. Double Stuff Oreos and I were very close for many years. My entire diet was a disaster, breakfast sandwiches every morning, slices of pizza for lunch, and I had dinner with the King or Wendy a majority of the time. It took losing a rib, almost getting divorced and losing my life for my diet to change, the surprising part has been that I have stuck to my healthy diet for six years and counting. In that time I have lost 50 pounds and have a body that I'm proud of, it wasn't just a diet change that changed my body but a change in diet is the first step in becoming healthier. The first thing is to recognize what foods to avoid, to help with this please read 10 Absolutely Worst Foods to Eat. You will notice that soda, and fried foods made the list, they will make any list that is talking about bad foods for a diet. The biggest fried food that we eat is potato chips, they are greasy, salt ladened greatness so how do you avoid them. For years I ate chips, I need something to snack on between bites of a sandwich. The most common suggestion is almonds, they are great for the body but if you indulge you pay the price due to the high fat content. I like to use Oyster Crackers with my sandwich, again just a handful is plenty but you get that crunch and a little salt in between each bite of your sandwich. Remember you're not trying to drive yourself crazy you want to make small changes that cut out unwanted fat and calories. What about soda?? This was one of the toughest changes for me, I will still have a glass of diet coke when i'm out to dinner with the family or with friends. I would much rather have a soda than a beer, personal preference. Eliminating that sweet carbonated goodness was tough but I have replaced it with water and Mio. Mio probably isn't the best product but I'm getting a lot more water. 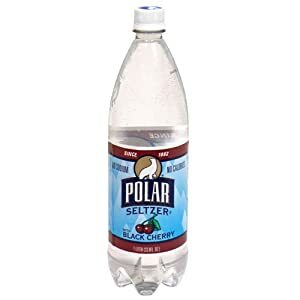 A better alternative however is flavored seltzer water, the flavors are great and it is a zero calorie drink, it doesn't get much better. Finally I had to eliminate cookies, what do I do when I need a snack after a meal or just want a lil snack. This may sound simple but I turned to fruit, apples, blueberries, cranberries, raisins, prunes, kiwi, and pineapple have replaced the amazing but fatty empty calorie cookies pictured below. At the end of the day it is all about self discipline, we all have foods that we eat everyday that are bad for us. Don't go crazy and eliminate them all at once. Small steps become the big steps in the end, ween yourself off of whatever it is you like to snack on. That is the secret and that small step will lead to the loss of a couple pounds each week. You have to start somewhere, find out what is bad and try to replace it. As many people know Jay Cutler has diabetes, he was diagnosed in 2008 when he was a member of the Denver Broncos. After two years of waiting for Cutler to make diabetes known nationally, I gave up on him and became very angry that an athlete at his level wasn&apos;t doing more for a disease that he has. Everyone is different I know this, it took me 20 years to accept my disease and maybe cutler is in the same boat that I was for so long. Jay Cutler has a foundation for diabetes, http://jaycutlersix.com/. This is great to see but I would love to see more nationally from cutler. I don&apos;t live in Chicago so I don&apos;t know how much work Cutler does for diabetes in Chicago but a search on Google didn&apos;t give any results that showed him giving back to the diabetes community. Again maybe I&apos;m missing something and if I am please share the link with me that shows cutler giving back to the diabetes community. The second part of my rant is a me reaching out to jay cutler, I&apos;m worried about him as a diabetic. With one of the most potent offenses in football how has he been putting up such bad numbers, mainly since he was diagnosed with diabetes. I understand he has doctors on the sideline that makes sure he is playing to the best of his ability with diabetes but he is he really? We all know how much high and low blood sugars effect the mind, I believe his blood sugar is to high while playing. I have nothing to back this up but his interceptions and his decision making during the game. Something seems off with him and I&apos;m worried it&apos;s his diabetes. I would love to hear from other football players with diabetes, am I on to something or am I looking to far in to this. I wish Cutler the best as a diabetic and I really hope he not only is taking care of himself but helping others that live with diabetes. What Will the Animas Vibe do for Athletes? Yesterday the diabetic world got the pump it has been waiting for, a pump that is fully Dexcom CGM enabled. Here is a link that explains the Animas Vibe very well, the video is great as well. So the Vibe has a lot going for it and will be the pump to have in the diabetes world, but what about the diabetic athlete world. I have only used a Medtronic pump, the Medtronic pump is CGM enabled, I decided to switch to the Dexcom CGM a year ago because Dexcom is far better than the Medtronic CGM for me. I have almost five years of experience with a CGM enabled pump, I feel my insight is helpful for athletes looking at the Vibe. The first great thing is the most obvious, you will have one gadget to worry about, not two. Having everything in one spot is great. I do miss being able to just look at my pump and see everything from blood sugar, last bolus and the amount of active insulin. As an athlete that is huge, being a cyclist it is very easy to take a peak at my hip while riding casually or in a race, as a runner it is even easier. Another great feature of the Vibe is that it is waterproof up to 12 feet for 24 hours. For swimmers and tri athletes this is huge, I have started swimming and I wish I could have my pump on me while I do so. The vibe will make this possible and for me this is the selling point. For those of you that don't swim, the waterproof feature is still great. Riding a hundred miles in a steady cold rain for five hours is anything but fun, you're worried about falling off the bike on a sharp turn, your blood sugar and if your pump will be ok in the rain. With the Vibe you have a lot less to worry about, the pump will be just fine. It will be sitting on your hip enjoying the ride. As I said earlier I have been on nothing but a Medtronic pump, I'm a tad hesitant to make the switch but as it stands right now I'm sold on the Animas prime, not only as a diabetic but as a diabetic athlete. In my mind the Animas Vibe has set the bar for insulin pumps. I have a lot of hoops to jump through to get a new pump but hopefully I will be able to provide a full review of the Vibe in the months ahead. Usually the winter is a time to relax and enjoy the holidays and snow. At the Noonan house it means we work more and run ourselves ragged. This afternoon the high school basketball season started, coaching is something that I&apos;m very passionate about but to be the best coach I can I need to control my blood sugar. Today I had to many lows. I have been trying to avoid lows and doing very well. Today a trip to the gym at 5, work, and practice took its toll on me. I went in to today with my normal basal rate and that was a huge mistake. Tomo I will start making small changes to my basal rates, it sounds weird but I want to make sure today wasn&apos;t a fluke before I make drastic changes. This evening while driving home from practice I was drinking some juice and a little upset. I was mad at myself, I hate going home low, I have three people waiting for me everyday when I get home. The last thing I want is to come home angry because of my blood sugar, I like basketball but I love the three people waiting for me each and everyday when I arrive home.